There is a pressing need to re-establish a cultural narrative for science. At present we lack a public understanding of the purpose of this deeply human endeavour to understand the natural world. In debate around scientific issues, and even in the education and presentation of science itself, we tend to overemphasise the most recent findings, and project a culture of expertise. The cost is the alienation of many people from experiencing what the older word for science, “natural philosophy” describes: the love of wisdom of natural things. Science has forgotten its story, and we need to start retelling it. To draw out the long narrative of science, there is no substitute for getting inside practice – science as the recreation of a model of the natural world in our minds. But I have also been impressed by the way scientists resonate with very old accounts nature-writing – such as some of the Biblical ancient wisdom tradition. To take a specific example of a theme that takes very old and very new forms, the approaches to randomness and chaos are being followed today in studies of granular media (such as the deceptively complex sandpiles) and chaotic systems. These might be thought of as simplified approaches to ‘the earthquake’ and ‘the storm’, which appear in the achingly beautiful nature poetry of the Book of Job, an ancient text also much concerned with the unpredictable side of nature. I have often suggested to scientist-colleagues that they read the catalogue of nature-questions in Job 38-40, to be met with their delight and surprise. Job’s questioning of the chaotic and destructive world becomes, after a strenuous and questioning search in which he is shown the glories of the vast cosmos, a source of hope, and a type of wisdom that builds a mutually respectful relationship with nature. Reading this old nature-wisdom through the experience of science today indicates a fresh way into other conflicted territory. For, rather than oppose theology and science, a path that follows a continuity of narrative history is driven instead to derive what a theology of science might bring to the cultural problems of science with which we began. In partnership with a science of theology, it recognises that both, to be self-consistent, must talk about the other. Neither in conflict, nor naively complementary, their stories are intimately entangled. 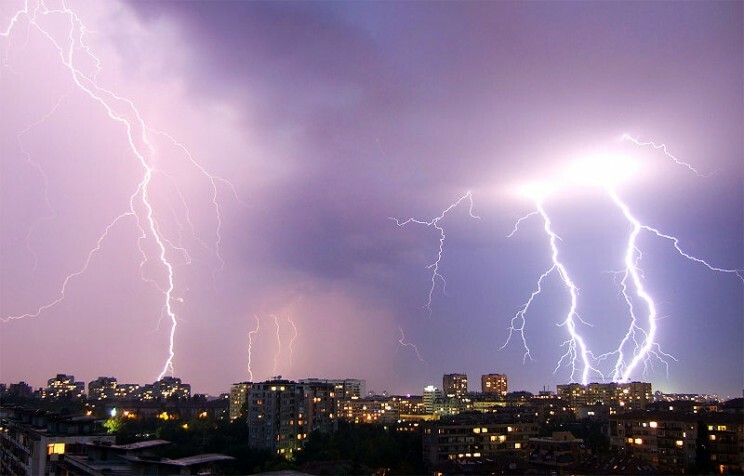 Cloud to ground lightning over Sofia, by Boby Dimitrov. CC-BY-SA-2.0 via Wikimedia Commons. The strong motif that is the idea of science as the reconciliation of a broken human relationship with nature. Science has the potential to replace ignorance and fear of a world that can harm us and that we also can harm, by a relationship of understanding and care. The foolishness of thoughtless exploitation can be replaced by the wisdom of engagement. This is neither a ‘technical fix’, nor a ‘withdrawal from the wild’, two equally unworkable alternatives criticised recently by Bruno Latour in a discussion of environmentalism in the 21st century. Latour’s hunch that rediscovered religious material might point the way to a practical alternative begins to look well-founded. Nor is such ‘narrative for science’ confined to the political level; it has personal, cultural and educational consequences too that might just meet Barzun’s missing sphere of contemplation. Can science be performative? Could it even be therapeutic? Perhaps science can do that too. Tom McLeish is Professor of Physics and Pro-Vice-Chancellor for Research at University of Durham, and a Fellow of the Institute of Physics, the Royal Society of Chemistry, the American Physical Society and the Royal Society. 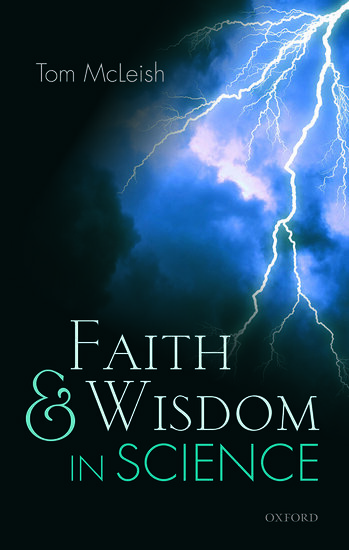 He is the author of Faith and Wisdom in Science. Subscribe to only science articles on the OUPblog via email or RSS.